This statistic displays the number of households in Belgium in 2018, by region. 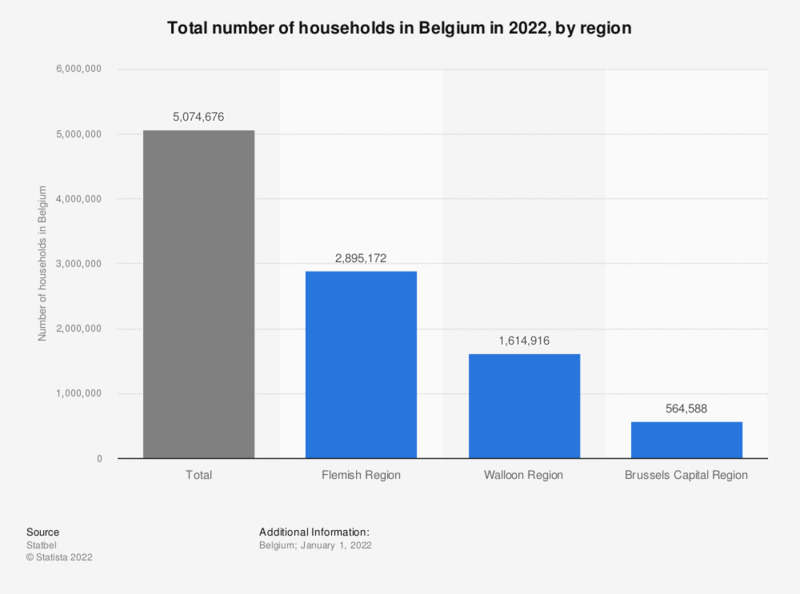 In 2018, there were nearly five million households in Belgium. Roughly 2.8 million of these households were Flemish households.